Weseloh, D.v.. "Gull". The Canadian Encyclopedia, 04 March 2015, Historica Canada. https://www.thecanadianencyclopedia.ca/en/article/gull. Accessed 24 April 2019. The gull (Laridae) family consists of long-winged, web-footed birds containing 2 subfamilies: Larinae and Sterninae. Although omnivorous, gulls feed primarily on fish (photo by James Marsh). Herring gulls nest on the prairies and on the Great Lakes (Corel Professional Photos). The gull (Laridae) family consists of long-winged, web-footed birds containing 2 subfamilies: Larinae (true gulls and kittiwakes, about 50 species) and Sterninae (terns, 44 species). All but one species of Larinae have squared-off tails. Most adults are white with grey back and wings, and black wing tips. Most have white heads, but some smaller species have black heads. Nearly all juveniles are brownish, becoming white adults in 2-3 years. They are relatively long-lived (banding records show 20-30 years), breeding from 3 to at least 12 years of age. 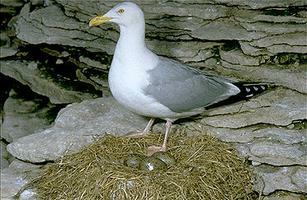 Larinae are distributed worldwide; in Canada 23 species of gulls and kittiwakes have been recorded, 18 as breeding. On the West Coast, the glaucous-winged gull (Larus glaucescens) is the common nesting gull. Herring, ring-billed, California and Franklin's gulls (L. argentatus, L. delawarensis, L. californicus, L. pipixcan, respectively) nest on the Prairies. Herring gulls and ring-billed gulls also nest on the Great Lakes. They are joined, in the St Lawrence River and Maritimes, by great black-backed gulls (L. marinus) and by black-legged kittiwakes (Rissa tridactyla). 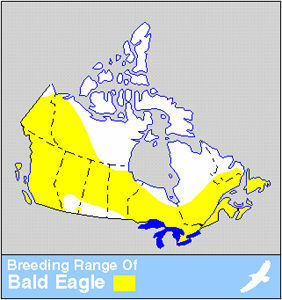 Bonaparte's and mew gulls (L. philadelphia and L. canus) and herring gulls nest in the Boreal Forest region of Canada. Glaucous, Iceland, Thayer's, ivory, Sabine's and Ross's gulls (L. hyperboreus, L. glaucoides, L. thayeri, Pagophila eburnea, Xema sabini, Rhodostethia rosea, respectively) nest in arctic Canada. Gulls frequent coastal and freshwater shores. Although omnivorous, gulls feed primarily on fish. Most gulls nest on the ground, on islands or peninsulas in wild, rural or urban settings. Franklin's and Ross's gulls nest in marshes; Bonaparte's and less frequently mew gulls nest in trees. In southern Canada, nesting begins mid-late April, progressively later to the north. 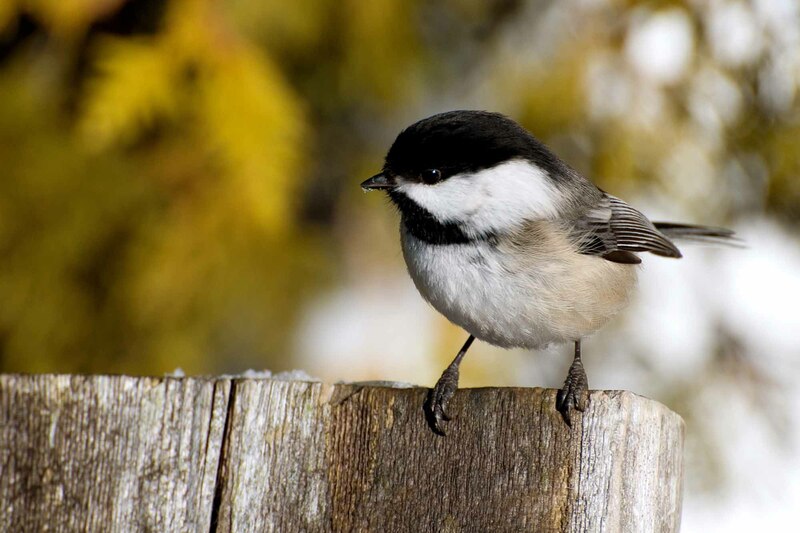 Most Canadian species lay 3 olive green, brown-splotched eggs. Nests range from small accumulations of vegetation and debris to large (46 cm diameter), well-made structures with well-maintained nest bowls. Eggs hatch in 3-4 weeks; down-covered young have open eyes, and can walk hours after hatching. Adult gulls swallow their food whole, then fly to the nest to regurgitate it for young. Young gulls fly about 6 weeks after hatching. A pair of adults may raise 1-2 young from 3 eggs. Young gulls die from exposure, toxic chemicals passed into the egg from the female, starvation, or attacks from adult gulls or predators. Deaths often result because young are unskilled at competing for food. 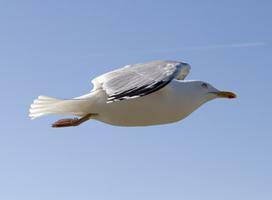 Most gulls in Canada migrate to areas of open water. Generally, gulls breeding from Manitoba westward migrate to the Pacific coast and southward; those nesting east of Manitoba go to the Atlantic coast and southward. Franklin's gull, which winters in South America, has one of the longest migration routes of any gull in Canada. Herring GullSee a description of the natural history and typical habitat of the Herring Gull in Canada. From the "Hinterland Who's Who" website. Also includes video clips, summaries of related conservation issues, and educational resources.